As humans in civilization, we surround ourselves with a compelling and seductive artifice of culture, landscape, and technology that can make us feel alien to the natural world. 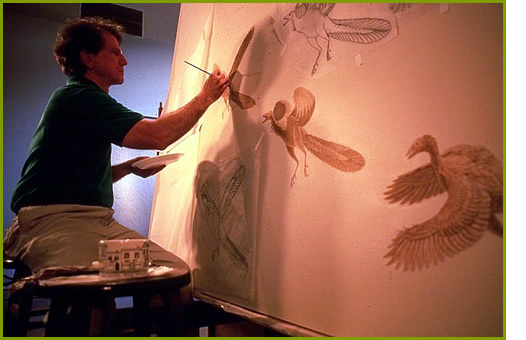 Stephen Quinn sees his work as an artist, and the work of every wildlife artist, as a means to reconnect us to nature and the myriad creatures that share the planet with us. His art serves as a portal to transport us to a larger world and family of living things that we have a critical responsibility and accountability for. Quinn feels the current popularity of wildlife art reflects our own species' fascination with and longing for the wild, and the profound realization that, as living creatures, we all share far more similarities than differences. He tries to capture his own sense of wonder in his work with the hope of sharing his vision of its beauty and splendor with others. To this end, Quinn spends endless amounts of time outdoors observing and sketching directly from his subjects, so as to capture, directly, the emotional experience of an encounter. Quinn hopes, through his work, to nurture meaningful relationships with nature in others who view it and to use the proceeds from its sale to support worthy wildlife conservation causes. 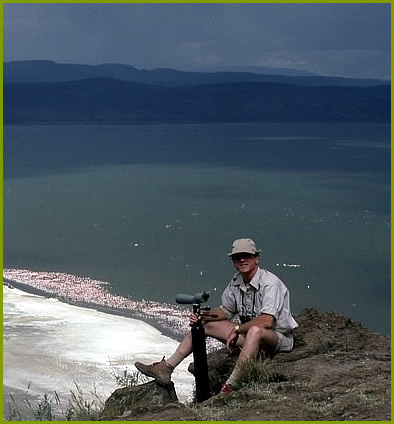 Quinn on expedition at Lake Nakuru, Kenya.